Holiness the Dalai Lama gives teachings throughout the year at various times and in different places. His Holiness also gives public talks. In India, teachings and public talks are usually free and open to the public. However, to attend teachings and public talks outside of India one usually is required to purchase a ticket. The proceeds from the ticket sales are used to cover the costs of the venue and other expenses related to His Holiness's visit. Holiness gives teachings at the Main Tibetan Temple (Tsulagkhang) in Dharamsala several times a year and they are officially translated into several languages including English, Chinese, Korean, Vietnamese, Hindi and Japanese on FM channels. During the winter months in India, His Holiness often visits Bodh Gaya or some of the Tibetan settlements located in south India where he also regularly gives teachings. In regard to religion tradition, most of the religious tradition are based on faith without doing very much critical analysis and investigation within the teachings. For Buddhist is very important to develop a faith understanding the Buddha’s teachings. So we need not only to keep faith, but we need to examine also the Buddha’s teachings. 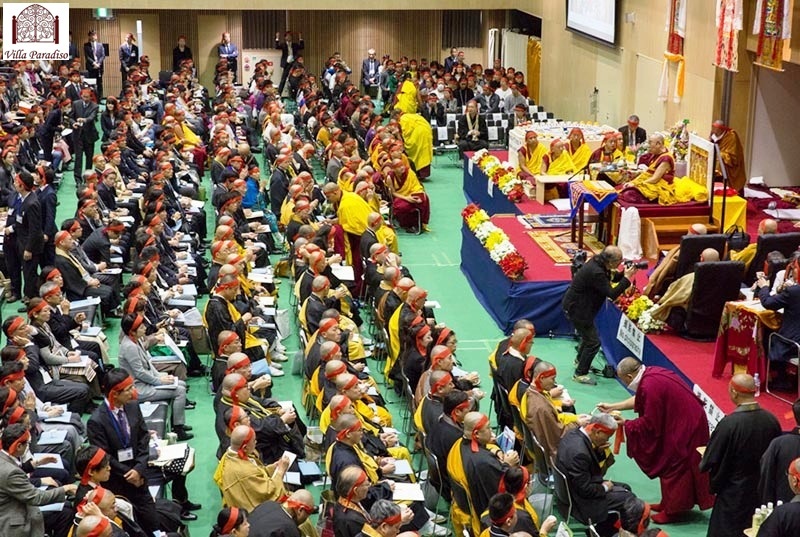 Holiness the Dalai Lama began seven days of Buddhist teachings in Dharamsala on Sunday at the request of devotees from Indonesia, Korea, Malaysia, Singapore, Thailand, and Vietnam. The teachings are being held in the Tsuglagkhang Complex, the Dalai Lama’s official residence, and will run until 2nd September to 7th September 2018. More than 6,000 people from 70 countries are attending, including more than 800 people from Southeast Asia.